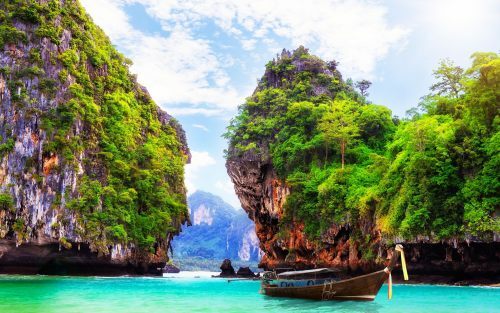 There are some highly unusual fares showing up on flights from Los Angeles to Bangkok, Thailand and then back to Vancouver for $386 CAD to $432 CAD including taxes. They are possibly an error. Even with an additional one way flight from Vancouver to LAX, one could still potentially get to Thailand and back for a very low price. 2. Click on MultiCity to start a multi-city flight search. I would recommend waiting at least 48 hours before booking anything else, including the extra Vancouver - Los Angeles flight. There's a chance it's an error, so wait and see how it plays out first. 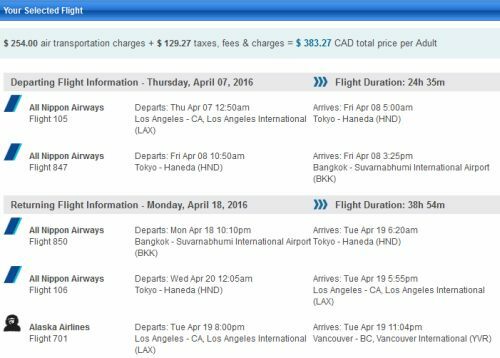 vancouver, yvr, flight deals, asia, bangkok, thailand, bkk, southeast asia, ana and all nippon airways.